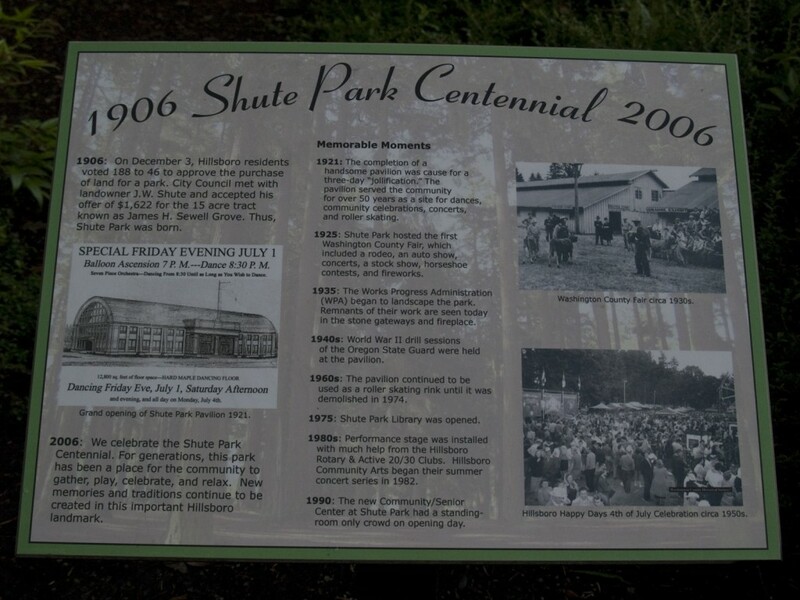 Shute Park is located near the downtown Hillsboro area. It was purchased by the City of Hillsboro in 1906. Over the years since then it’s seen a lot of changes. 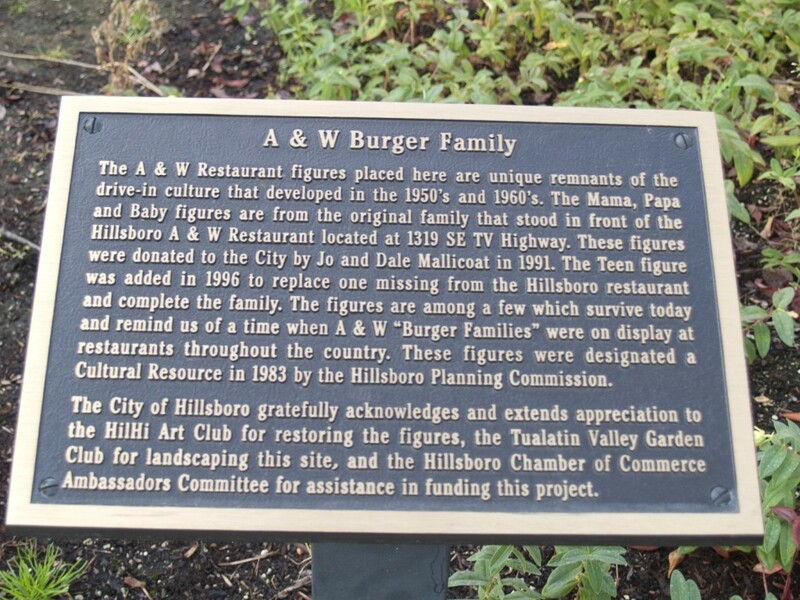 The City of Hillsboro has grown to several times it’s size, a pavilion was built, lasted fifty years, then torn down. The WPA landscaped the park. And it’s now home to an A&W Family, and a giant wood carved Indian Head. 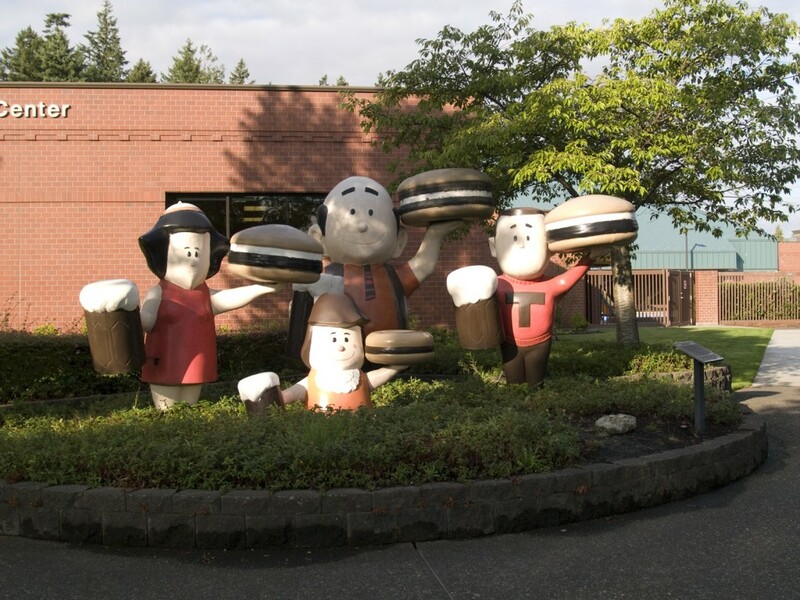 The A&W Family located in the park has had a long and interesting history, including being stolen, career change, and finally being restored. The City of Hillsboro web site has more information about them. It’s apparent that these icons of 50’s fast food are still well loved as evidenced by web pages documenting their existence around the country. who was a Chief of the Tualatin Indians. 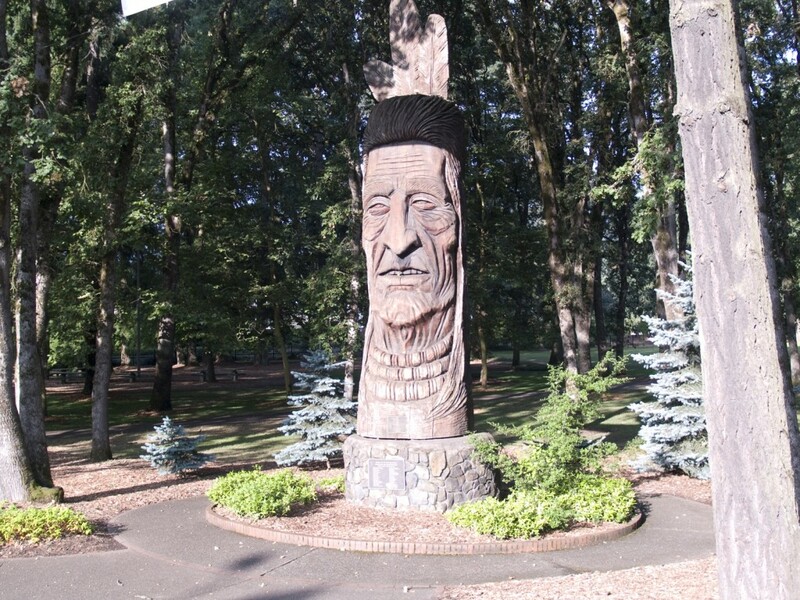 It was carved by Peter Toth who has a personal mission to carve a giant Indian head in each state. 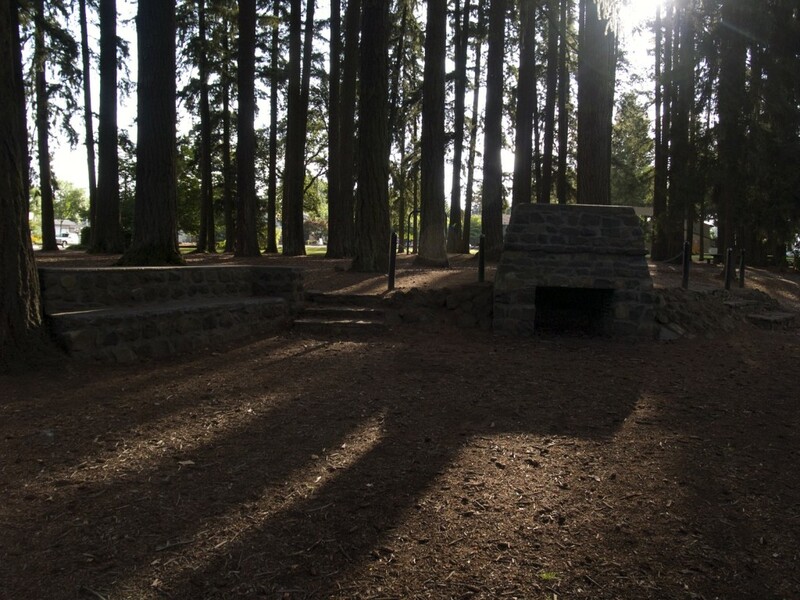 Here are the few remains of the WPA’s project in Shute Park. No doubt that fire place has warmed a lot of people on chilly nights as they roasted hot dogs and marshmellows over the fire.